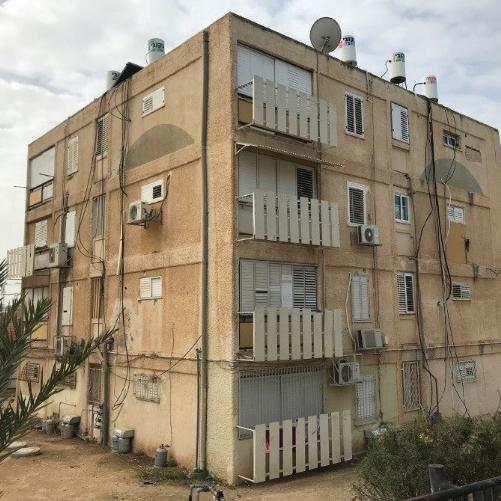 The Shatil-coordinated Public Housing Forum had one of its greatest successes in recent years last week when Housing Minister Yoav Gallant announced a public housing plan that will add 7,200 units of public housing each year over the next decade. This is the first extensive public housing plan put forth by an Israeli government since the wave of immigration from the former Soviet Union in the early 1990s. If approved by the government, it would bring the percentage of public housing in Israel up to par with countries like the United States and Canada, from 2.5 percent of the entire housing stock in Israel today to 4 percent in 2028 (the United States currently has 4.3 percent and Canada has 4.1 percent). The forum has made single mothers a top priority in its work to promote public housing, especially with funding from such supporters as the Jewish Women’s Federations of New York, Chicago, and Miami, as well as the Hadassah Foundation. In a press conference called by Gallant, Housing Ministry officials said that if this “Living Respectfully” plan is approved, the stringent criteria for single mothers to be accepted into public housing would be eased. Currently, the criteria requires that women must essentially be desperate before they qualify: They must have three children, receive no child support, be unemployed, and not live with a partner. Of the 30,000 families waiting for public housing from the Housing Ministry, about 22,000 are headed by single mothers. Until now, the ministry had added about 900 housing units a year to public housing. The addition of 7,200 units will mean a life change for thousands of families each year. While public housing is not free, it is considerably cheaper than renting on the open market, even compared to cases where a family receives rent subsidies from the government. For many women, public housing is a chance to establish a real home, an opportunity, after moving dozens of times, to settle down and stop uprooting their children from schools and friends. Shatil organises hundreds of public housing activists around the country, training them on their rights, on how to raise awareness, and on how to advocate for their rights. Shatil helps these same women to participate in Knesset committee discussions and to get on prime-time news shows. Advocacy is another key part of the forum’s work with Shatil. Experts speak regularly with housing and finance ministry officials to advance the cause of public housing. Gallant’s announcement came the same week that the Studio PO group of artists for social change released an IKEA catalogue spoof to expose the poor state of public housing in Israel. In the catalogue, instead of flashy pictures of furniture and kitchen fixtures, public housing residents are pictured in their dilapidated, crowded homes. The catalogue will be used to raise public awareness of the plight of public housing residents and was produced in coordination with Shatil. Gallant’s plan must be approved by Finance Minister Moshe Kahlon before it can be implemented.